The fall/winter 2018-19 edition of leading international leather showcase, Lineapelle in Milan, saw creative reinterpretations of the classics with unexpected color combinations and bold reworkings of traditional tanning techniques according to Trendstop. 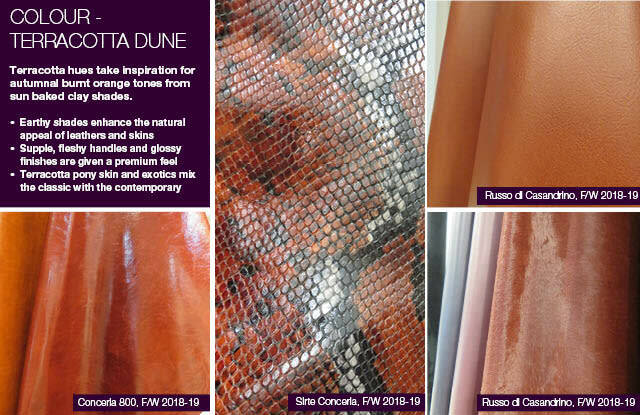 This week Trendstop editors offer WeConnectFashion readers an exclusive look at the color, print and texture directions that will be informing leathers for the Fall/Winter 18/19 season.”Terracotta Dune” brings a warming, autumnal flavour to natural leather products while “Laundry Bag Checks” introduce a modern, utility appeal to printed skins. 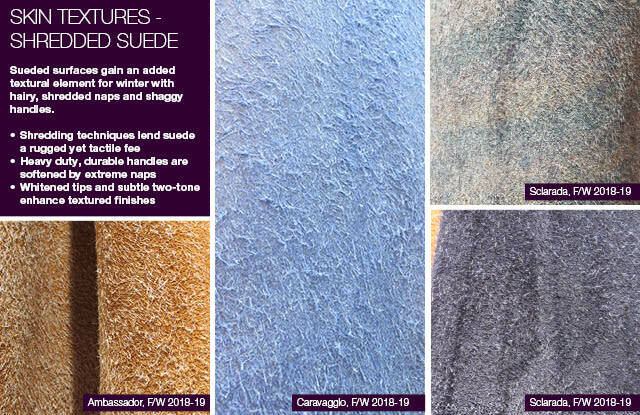 “Shredded Suede” illustrates the importance of texture his season, with heavily napped surfaces that combine leather’s tough and rugged qualities with a soft and tactile handle. Terracotta hues take inspiration for autumnal burnt orange tones from sun baked clay shades to bring warmth to the winter palette. 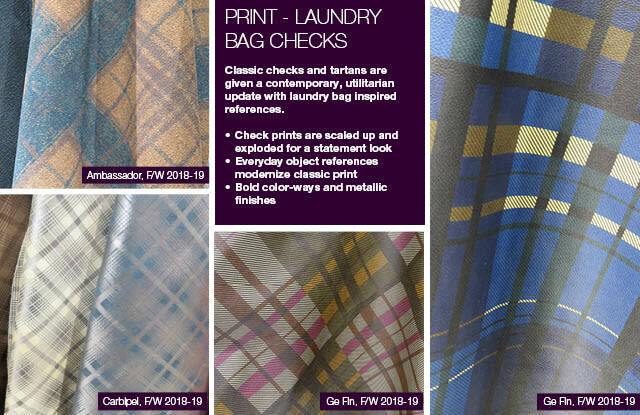 Classic checks and tartans are given a contemporary, utilitarian update with laundry bag inspired references. Sueded surfaces gain an added textural element for winter with hairy, shredded naps and shaggy handles. 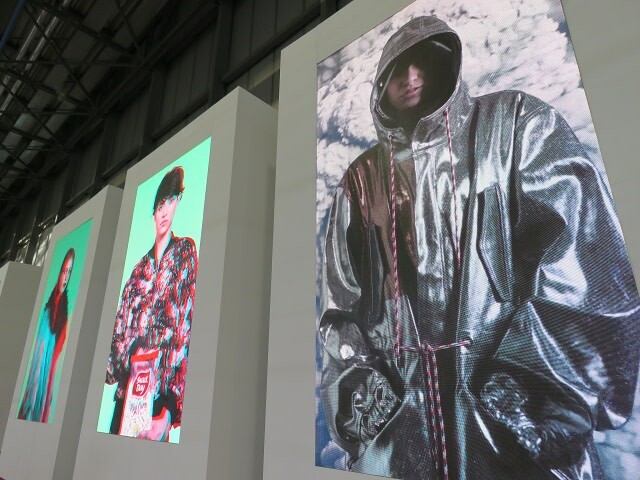 WeConnectFashion readers can get FREE ACCESS to Trendstop’s Fall/Winter 2017-18 Lineapelle Fabric Show Overview, an essential guide to the season’s leather and material innovations direct from Lineapelle, Milan. Simply click here, to receive your complimentary report.